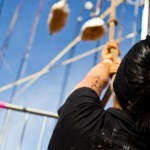 Spartan Greece Obstacle Course Races | WHAT IS SPARTAN RACE? 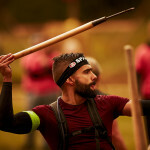 Spartan Race is a leader in the sport of obstacle racing, offering open heats for all fitness levels, as well as Age Group and Elite heats for those with something more to prove. 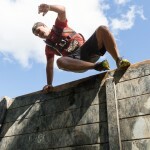 The first of its kind to feature timing and global rankings, Spartan Race provides a proving ground for beginner and professional obstacle racers looking to test themselves in new ways across the world. 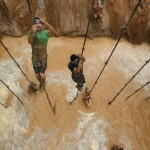 The Spartan Sprint puts endurance aside and tests your quickness through 5 km loaded with 20 Οbstacles. A great starter distance for beginners, or a perfect test against time for the more advanced racer. 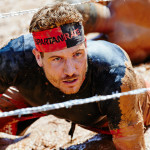 The Spartan Super is as much mental as it is physical, spanning 13 km that are just as unforgiving as the 25 Οbstacles that litter the distance. 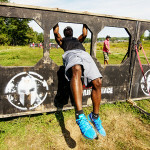 The Spartan Beast is just plain hard. This is our longest and most difficult race out of our three main race types and is aptly named for its brutal 21 km circuit with 30 Οbstacles that try to keep you from your finish line. Think you can handle more? Prove it by signing up for one of our endurance races. 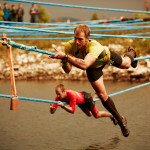 Choose from the Ultra (50 km, 60 Οbstacles), Hurricane Heat (3-4 hours of grueling team building), Hurricane Heat 12 Hour (12 hours of physically and mentally draining team and individual challenges), or the Agoge, a 60-hour event that builds physical, tactical, mental, and team-based strength through training, testing and evaluation.